Posmrtna Liturgija was formed in winter 2001. and back then there was only two members. The founders Dragan Pagan and Grof Drobikus are very proud to have Black Metal bands such as Bathory, Immortal, Satyricon as our models. Band was seeking for their place in Serbian underground scene for about a year that was full with rehersals and upgrading musical as well as tehnical skills. After a period of rehersals this two-member band automatically starts to play in their home town, Ruma, and after a year Mrtvozornik joined band,for music became much more serious and could not be played without bass guitar. After a short period album "Od Zla Oca I Još Gore Majke..." was recorded. Pause took place in work of bend for about six months, after which they continue to work and play festivals in Serbia and couple former Yugoslav countries. 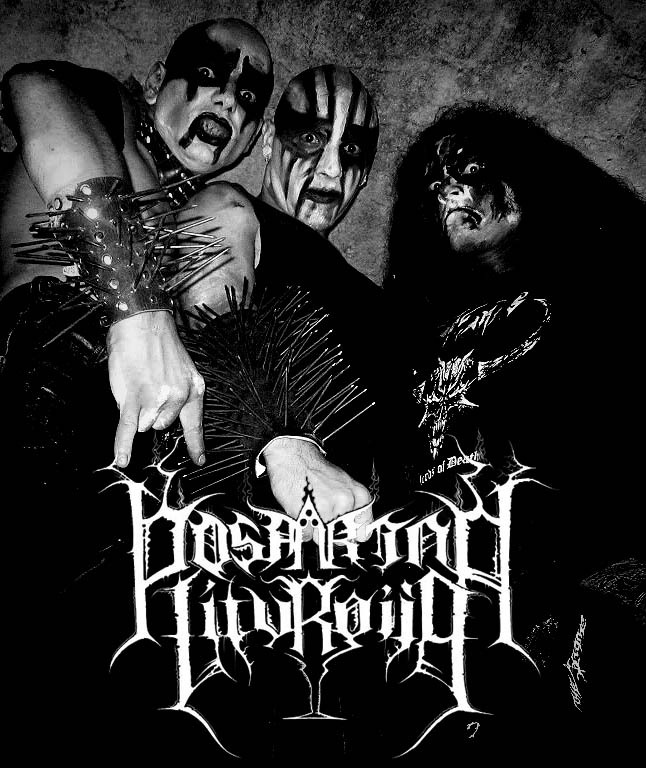 Posmrtna Liturgija played with many metal bands such as: Avatar(ROM); Avenger(CZ); Casket Garden(HUN); Dark Storm(CZ); Debauchery(GER); The Stone(SER); Embriotomy(MAC); Enthrallment(BUL); Fleshless(CZ); Grenjar(NOR); Heretical Guilt(SER); Hypnos(CZ); Koldbrann(NOR); Korozy(BUL); May Result(SER); Negura Bunget(ROM); Orkrist(SK); Inferno(CZ); Sacramental Blood(SER);Vokodlok(ROM); and many others. 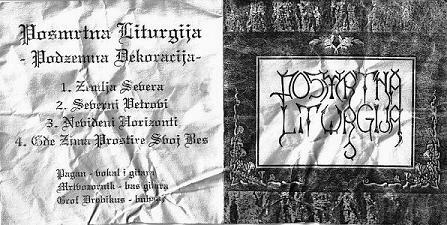 In 2004. cause of variety of guitar parts and complexity of music in all, guitarsit Lord Slobikus joined band and Posmrtna Liturgija shapes in it's final form and makes recognisibile style specific not only for Serbian, but for European black metal scene! 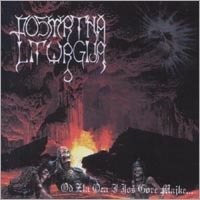 Posmrtna Liturgija was, for a short time, one - man band, with only member worthy of the name PL, worthy to stand on a side of primal evil and in the name of true Father who gave him life, wisdom and salvation, to fight battles and move on ! At 2006., a new drummer was L.G. from Serbian black metal bend Dead Shell Of Universe , but due to preoccupancy and lack of free time, he was replaced by Aksinomantijan, former drummer of Serbian Black Metal Horde The Stone, only man who is ready and technically can perform new songs of Posmrtna Liturgija as well as the old ones in much more precise and still true Black Metal way! In may 2007. Asmodeus from Serbian black metal band ZAKLAN joined Posmrtna Liturgija! For The glory of our father Lucifer we salute Victory and eternal chaos!